For Montipò building is not only a professional mission, is a way of life. Even if within a company with a strong family connotation, Montipò Group are able to cope independently and effectively to all the needs that arise during the life of a building site. 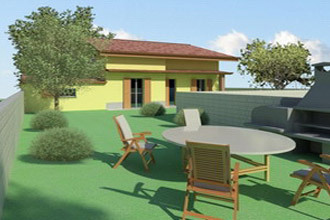 Up over the closure, with services dedicated to the purchase and the good management of the property, because home is a fundamental value, shared by and at the base of the Group mission. Whether it's residential housing or commercial interventions, Montipò are able to provide pre-measured and aggregates (thanks to their own quarries), the design and structural analysis, implementation and delivery. 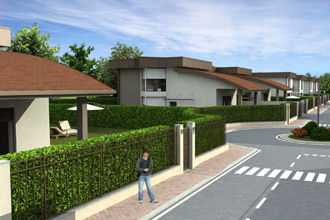 A few minutes from the center of Novara: 2 elegant condominiums and 30 villas, the latter designed to provide the ultimate in comfort and in the running of a modern home, designed and built using the most advanced technologies and materials in energy management and in eco-sustainability . Safe, exclusive, efficient and all in A Class. In the design phase . 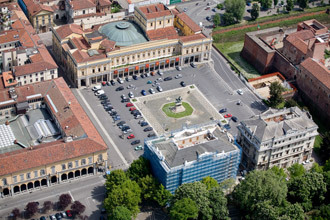 We have garages and parking spaces for sale and for rent in the whole territory of Novara . 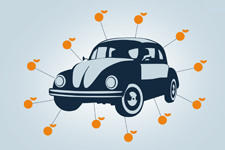 Consult the map to know the location of the parking space that meets your needs. 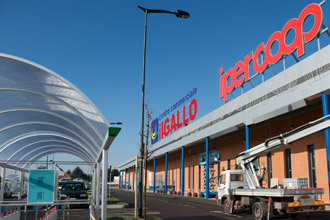 Opened December 10, 2009, the new shopping center "The Gallo" houses a hypermarket of 4,500 square meters and a gallery with thirty shops. Available for rent commercial spaces of different sizes.